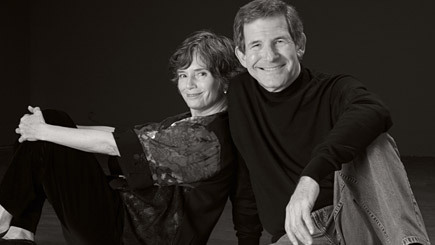 Gary Zukav and his wife Linda Francis, who run the Seat of the Soul Institute and embody a power-sharing model of leadership that the Institute promotes. 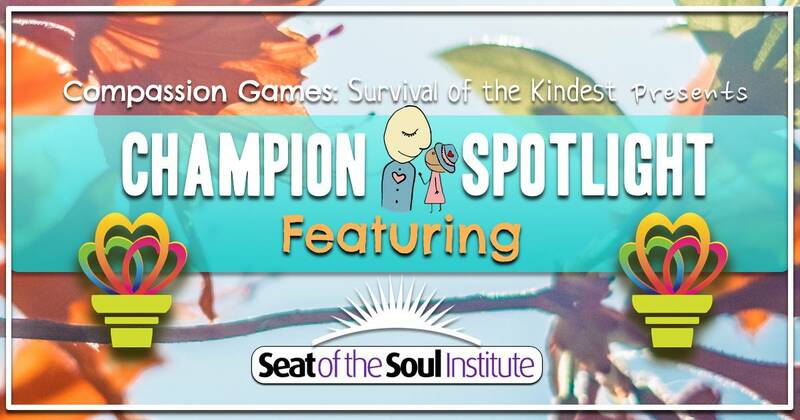 For Day 11 of the Giving Games, we are absolutely delighted to pass the Compassion Torch from the Center for Global Education to none other than Gary Zukav, his wife Linda Francis, and their Seat of the Soul Institute! Though, with all of this said, you would not know any of these facts upon meeting Gary, for his humility and warmth emanates a precious kind of humanity that strips us all to our barest, most equal and sacred core. That of one Universal Human, as he says, to another. My adopted Lakota brother, Phil Lane, Jr., told me a story at a gathering of young Native Americans I have never forgotten, and I feel certain that I never will. A rancher on the plains often saw a sweat lodge near his range. A sweat lodge is a low dome-shaped tent made of bent young trees. In the old days they were covered with buffalo skins. Now they are covered with tarps that are covered with old blankets. The lodge cannot be entered except through a small door that makes people crawl to enter. It is difficult not to be humble while crawling into a sacred space to pray. It is hot in the lodge. Water is thrown onto red-hot rocks from a fire outside, and the steam makes the lodge feel like a sauna. Between each round of prayer, people go outside to lie on the ground or walk and breath the fresh air. Then they go back into the lodge to pray some more. During one of the times between rounds, the rancher rode up to the people on the ground and asked, in a rough voice because he was frightened, “What are you doin’ in there?” The short conversation between him and the Lodge Master went like this: “We are prayin’. What are you prayin’ for? We are prayin’ for you.” I knew the story was true because that is what the people in my sweat lodges did, also. They prayed for everyone, not only themselves. Phil patiently explained again and again, “Now is the time of the coming of the prophecies. The Great Spring has arrived. Now is coming the Day That Will Not Be Followed By Night. We must share our wisdom with our Brothers and Sisters.” The elders agreed with Phil, and they taught him and supported him. This was almost thirty years ago. Now we are blessed to hear these healthy, grounded, life-affirming teachings of a shared Humanity, of one family of Life, and of our Responsibilities to it and to one another from many voices, young as well as elder. You can hear these voices at Standing Rock. They are sharing with us what Native American elders taught them and their ancestors for thousands of years. They are showing us what we need to do to heal the damage that we have caused, and how to soften a self-created climate disruption that now threatens all life. Native wisdom around the world can teach us more about how to relate to Mother Earth than even the most heart-felt scientists. We have ignored this wisdom, disdained it, and killed those who carry it for five hundred years. Now is a good time to listen, and to pray with our Native American sons and daughters and brothers and sisters – for water protectors and police, for people we agree with and people we don’t, for the one family of Life that we are and all our relatives in it. Gary and Linda not only embody not only power-sharing leadership, they embody the spirit of compassion. Thank you for your countless years of service to the human family. Learn more about the Seat of the Soul Institute here!